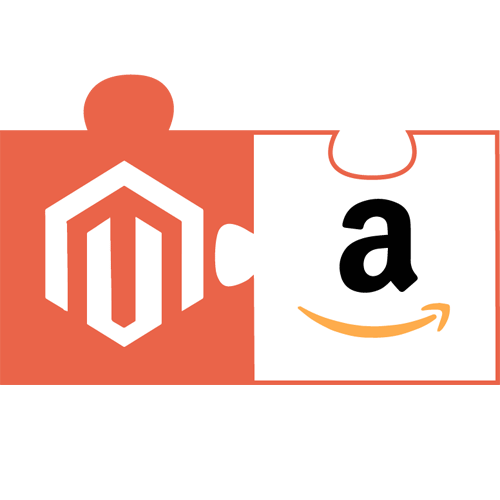 Creating Pricing Strategies with Price Tracker for Magento. 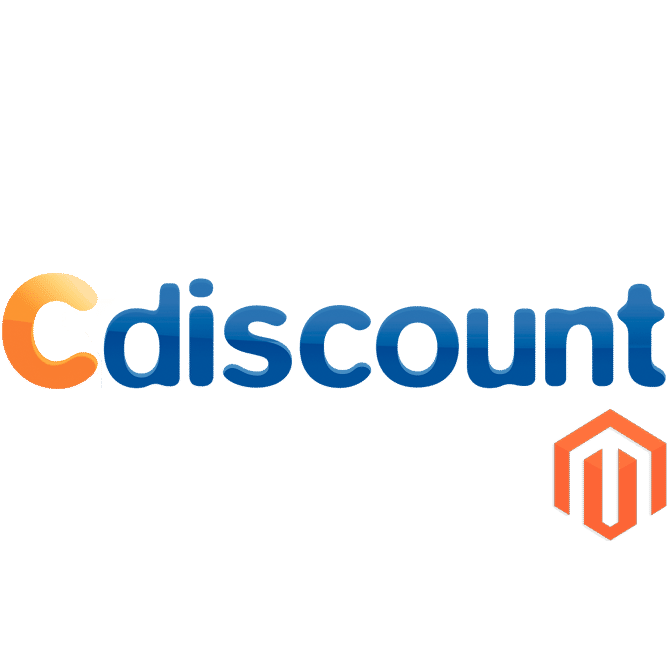 This Extensions shows a new attribute 'Price Tracker' in your Catalogue > Manage Product screen in your Magento back end. 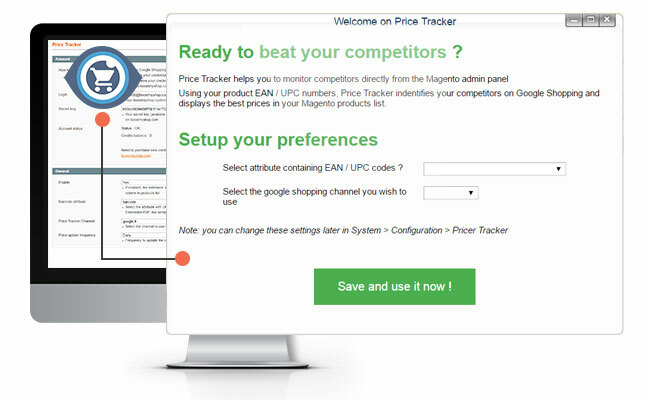 Price tracker can show you up to 5 competitors for each offer, classified from the lowest to the highest price. 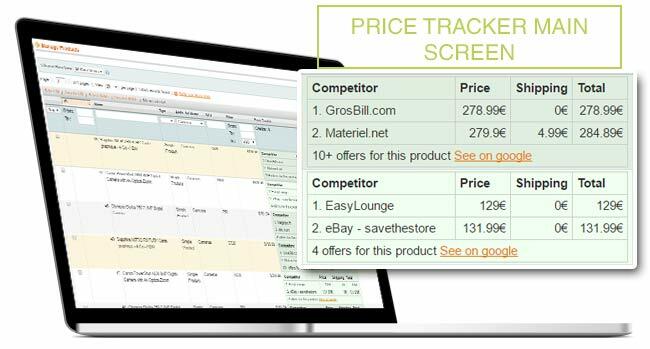 Price tracker uses barcodes to match products – if there is no barcode available Price tracker cannot retrieve competitor prices. 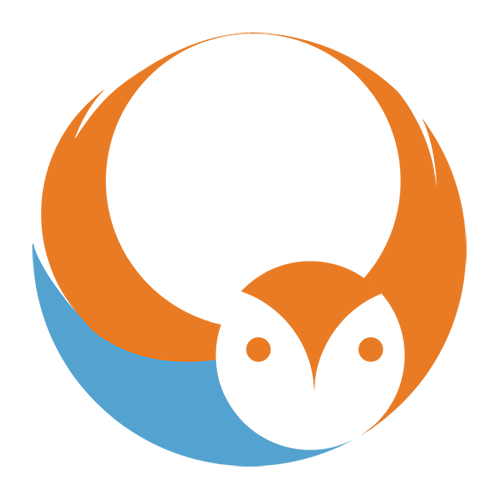 Price tracker uses powerful dedicated technology that retrieves competing prices for matching products from Google Shopping Channels across the world. First, the product which is to be scanned is identified by the EAN/UPC code. Then Price Tracker identifies the corresponding products on the channels you have selected. Pricing information is securely captured based on the frequency requested and sent to the shopify website through the price tracker webservice. It is fast, reliable and doesn’t use any resources from you own server. Purchase credit packs depending on how many products in your catalogue you need to monitor and the frequency with which you wish to monitor them. For each matched product price tracker will count 1 credit per competitor price displayed. Select the Number of competitors you want to display, from 1 to 5. Prices will then be retrieved.